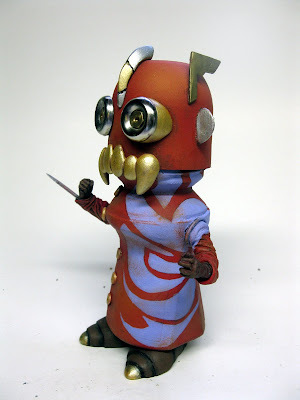 Images of 2009 Kidrobot Dunny series released! 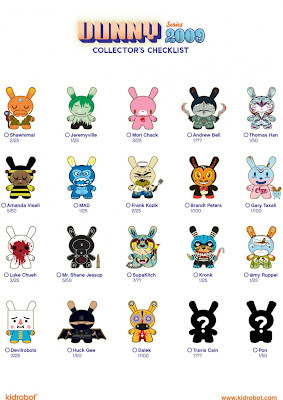 See original huge image of the 2009 Dunny Series checklist here. 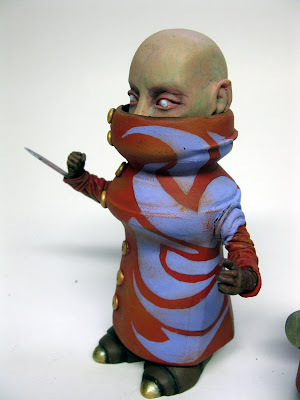 I am REALLY into some of these designs! Especially the 3/25 Luke Chueh! 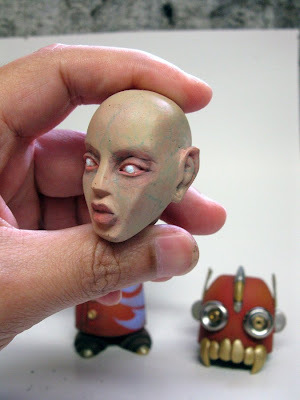 Behold NEMO's Day Walker, the first finished piece he is releasing in advance of our upcoming custom "Rollies" show! WTF is a Rollie, you might be asking yourself? What is this awesome platform that Nemo has worked his magic on? A $0.99 roll-on deodorant bottle. Look closely at the Day Walker's shape. See, you might wander through your day without truly seeing what's right in front of you. 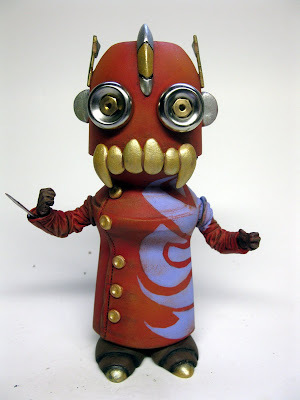 (I sure do, after spending all day in front of the computer, my brain is fried) But NEMO sees everything as potential platforms for his sculptures. 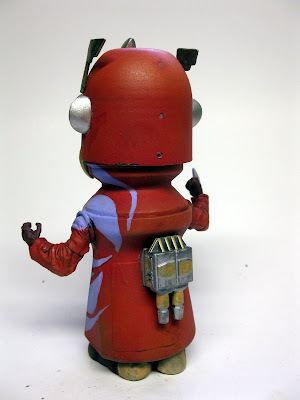 He had been mulling over this Rollies idea for a while and mentioned it to me at an event at ToyQube and I told him I'd totally support him in his idea, lending space on Tenacious Toys and our blog, etc to get this idea off the ground! 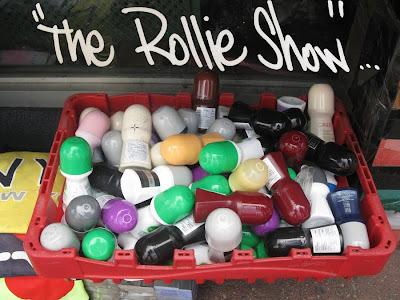 This will be a custom show using cheapo plastic roll-on deodorant casings as platforms. Everyone is welcome to participate! If you can't find a Rollie near you, we'll pack one up and mail it to you. The Rollies Show will get it's own space on TenaciousToys.com. We'll also throw a release party on Halloween weekend in late October at a joint here in Corona called All the Right. Their website is under construction but it's a graffiti supply store along the 7 line. Contact Nemo or Benny for more info. Also check out NEMO's new blog!